EcoFriendly Sask has awarded three EcoFriendly Action Grants for June 2012. Bike Valet, Saskatoon Cycles ($350) – The Bike Valet has been a popular feature of Saskatoon summer festivals for several years, providing residents with an opportunity to cycle to the Jazz Festival or Taste of Saskatchewan and be assured that their bicycle is safely stowed until it’s needed for the ride home. This year, Saskatoon Cycles is operating the Bike Valet, and they are trying to extend coverage to as many events as possible. EcoFriendly Sask sponsored the Bike Valet at the Civic Pancake Breakfast on June 21, and both Andrew and Shelley McKinlay took advantage of the service to store their bikes while enjoying some pancakes. Cypress Hills TRoutreach Fisheries Research 2012 ($350) – A group of university students has initiated TRoutreach, a trout research and conservation project in Cypress Hills. They are developing tools to monitor the consequences of habitat degradation on the forage available for stream trout and measuring the ecosystem’s health. 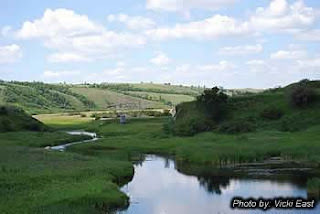 In addition, they are conducting large-scale assessments of the impact of trout habitat restoration projects in the Cypress Hills on the biodiversity of aquatic organisms in order to identify streams and reaches that are suited to conservation and enhancement. TRoutreach has also planned an active outreach program. School groups will be invited to visit the site and to experience firsthand the importance of conservation and fisheries research. The results of the research will be presented to the media and to provincial sports fishing groups. The project is being carried out in collaboration with the Saskatchewan Wildlife Federation, the University of Saskatchewan, and the Saskatchewan Watershed Authority. The EcoFriendly Action Grant will help to cover transportation costs. Upper Souris Watershed Awareness Initiative ($350) – The Upper Souris Watershed Association is a non-profit organization whose mandate is to improve the quality and quantity of water within the Upper Souris watershed. The grant from EcoFriendly Sask will help to support a public awareness campaign in Estevan and the surrounding area. The Association plans to publish water facts focusing on water conservation and watershed awareness through radio spots and weekly newspaper articles as well as their newsletter and website. They plan to match the grant with additional in-kind and cash donations. EcoFriendly Sask offers monthly EcoFriendly Action Grants of up to $500 to support local environmental initiatives. Tell us about your project and explain how you will use the grant and how it will benefit the environment. We review applications mid-month, so apply early and be prepared to wait for your application to be considered. CNYC Bike Power & Bike Laundry ($1500) – In January, EcoFriendly Sask published an article about Small Change Fund and encouraged Saskatchewan groups to apply for a grant. The Core Neighbourhood Youth Coop (CNYC), a skills building and alternative education program for youth in Saskatoon, did just that. CNYC is asking for $5,000 to support their Bike Power & Bike Laundry project. EcoFriendly Sask has made a donation to get the ball rolling. Now it’s your turn to support our local youth.